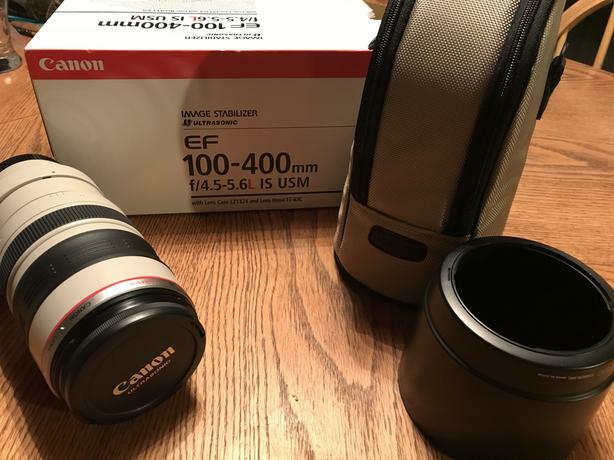 Canon EF 100-400mm f/4.5-5.6L IS USM. Like new. Only used twice. Includes lens, case, lens hood and original box and papers. Only selling it because I need money for my tuition. Feel free to make an offer. Email lmarchant100@gmail.com or text/call 7786786502.